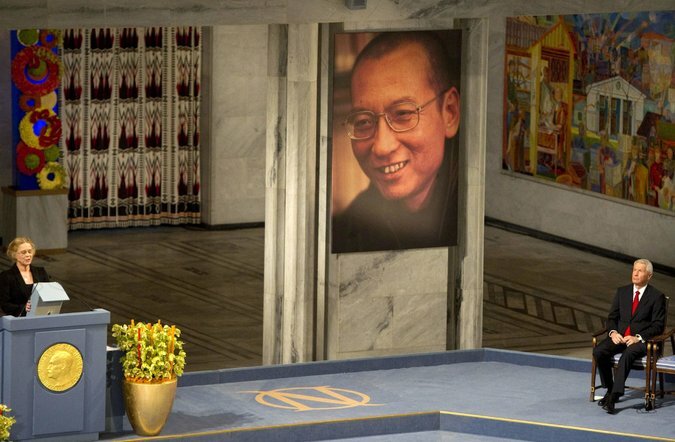 BEIJING — Liu Xiaobo, the renegade Chinese intellectual who kept vigil on Tiananmen Square in 1989 to protect protesters from encroaching soldiers, promoted a pro-democracy charter that brought him an 11-year prison sentence and was awarded the Nobel Peace Prize of 2010 while locked away, died on Thursday. He was 61. The bureau of justice of Shenyang, the city in northeastern China where Mr. Liu was being treated for cancer, announced on its website that Mr. Liu had died. 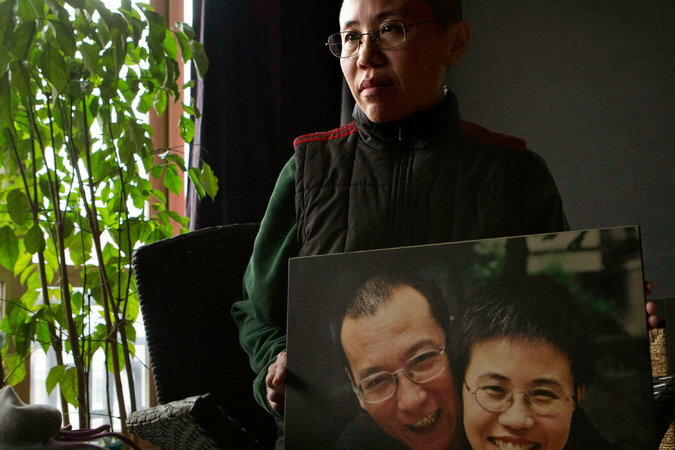 The police have kept his wife, Liu Xia, under house arrest and smothering surveillance, preventing her from speaking out about Mr. Liu’s death and his belated treatment for cancer. Mr. Liu was arrested most recently in 2008, after he helped initiate Charter 08, a bold petition calling for democracy, the rule of law and an end to censorship. A year later, a court in Beijing tried and convicted Mr. Liu on a charge of inciting subversion. The petition and essays he wrote in which he upbraided and mocked the Chinese government were cited in the verdict. Mr. Liu responded to his trial with a warning about China’s future. Mr. Liu could not collect the prize himself, and he was represented at the ceremony by an empty chair. His statement for his trial, which he was not allowed to read out, served in his absence as his Nobel lecture. Confrontation and detention were nothing new to Mr. Liu. He was born on Dec. 28, 1955, in Jilin Province, in northeast China. The son of a professor who remained loyal to the Communist Party, Mr. Liu made a vocation out of obdurate opposition to authoritarianism. 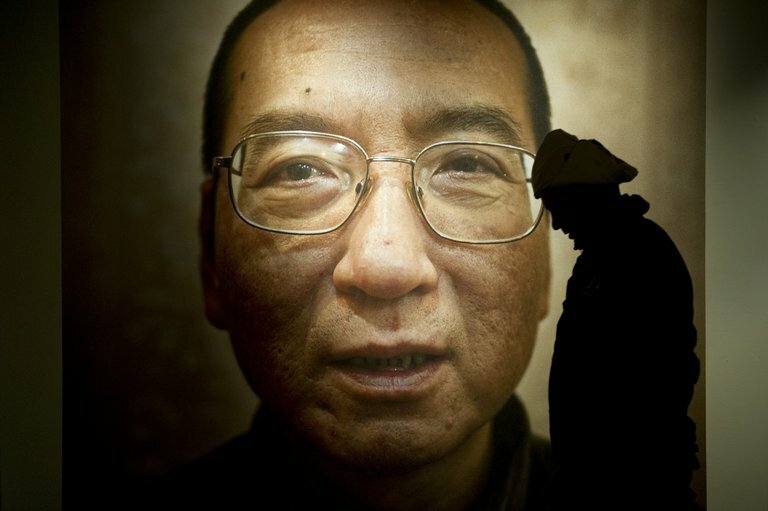 “He was a dissident even among dissidents,” said Mr. Yu, the friend and biographer. Mr. Yu now lives in the United States. 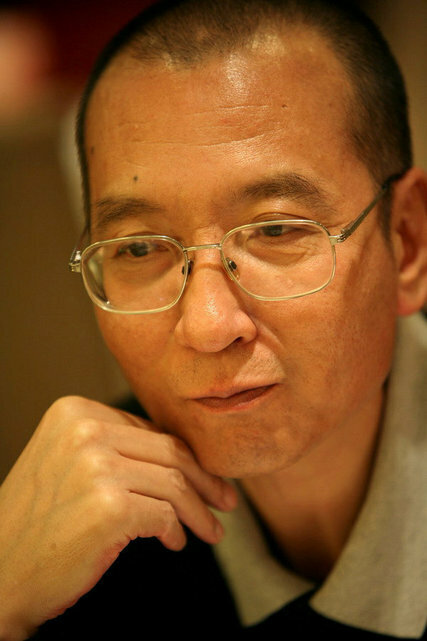 Mr. Liu started out as a notoriously abrasive literary critic in Beijing in the 1980s. He was called a “dark horse” who bridled at intellectual conformity, even in the name of reform. But he was increasingly drawn into political questions as Deng Xiaoping, the Communist leader, resisted matching economic liberalization with political transformation. In 1989, he was a visiting scholar at Columbia University when students in Beijing occupied Tiananmen Square to demand democratic changes and an end to party corruption. He returned to Beijing to support the protests. He later described that time as a turning point, one that ended his academic career and set him irrevocably into a life of political opposition. Mr. Liu’s sympathy for the students was not unreserved; he eventually urged them to leave Tiananmen Square and return to their campuses. As signs grew that the Communist Party leadership would use force to end the protests, Mr. Liu and three friends, including the singer Hou Dejian, held a hunger strike on the square to show solidarity with the students, even as they advised them to leave. “If we don’t join the students in the square and face the same kind of danger, then we don’t have any right to speak,” Mr. Hou quoted Mr. Liu as saying. When the army moved in, hundreds of protesters died in the gunfire and the chaos on roads leading to Tiananmen Square. But without Mr. Liu and his friends, the bloodshed might have been worse. On the night of June 3, they stayed in the square with thousands of students as tanks, armored vehicles and soldiers closed in. Mr. Liu and his friends negotiated with the troops to create a safe passage for the remaining protesters to leave the square, and he coaxed the students to flee without a final showdown. Mr. Liu was arrested days after the crackdown and spent 21 months in detention for supporting the protests. He lost his university lecturing job, his books were banned, and the Communist Party labeled him a “black hand” who had helped foment turmoil. His later support for American government policies, including the invasion of Iraq, also brought scorn. But he was unbowed. In 1996, he was sent to a labor camp for three years after demanding clemency for those still in prison for joining the demonstrations. Mr. Liu did not instigate Charter 08, but after he joined activists who were preparing to release it, he worked to make its demands acceptable to as many people as possible, tramping from door to door in Beijing to recruit prominent signatories. The petition at first drew 303 signatories, including many prominent Chinese writers, academics, lawyers and former officials who were recruited by Mr. Liu. By May 2009, the number of signers had grown to over 8,600, including supporters living overseas.